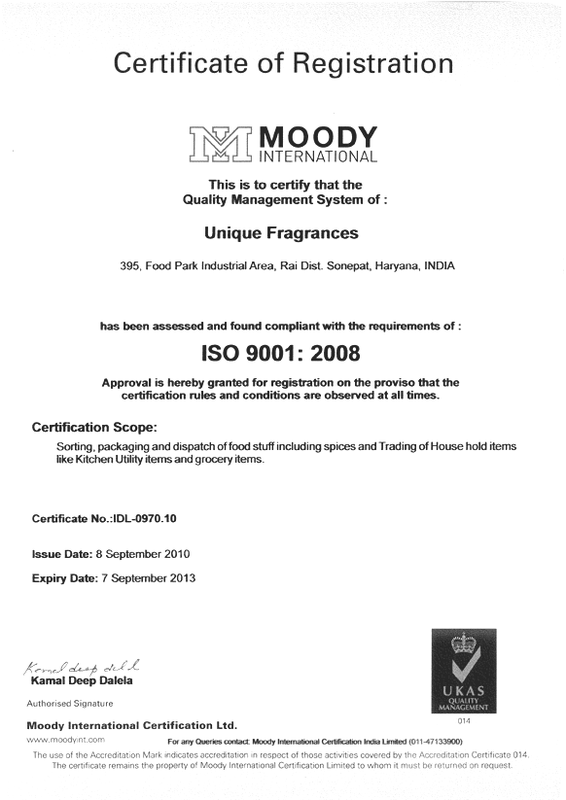 ISO 9001:2008 - sorting, packaging and dispatch of food stuff including spices and trading of house hold items like kitchen utility items and grocery items. 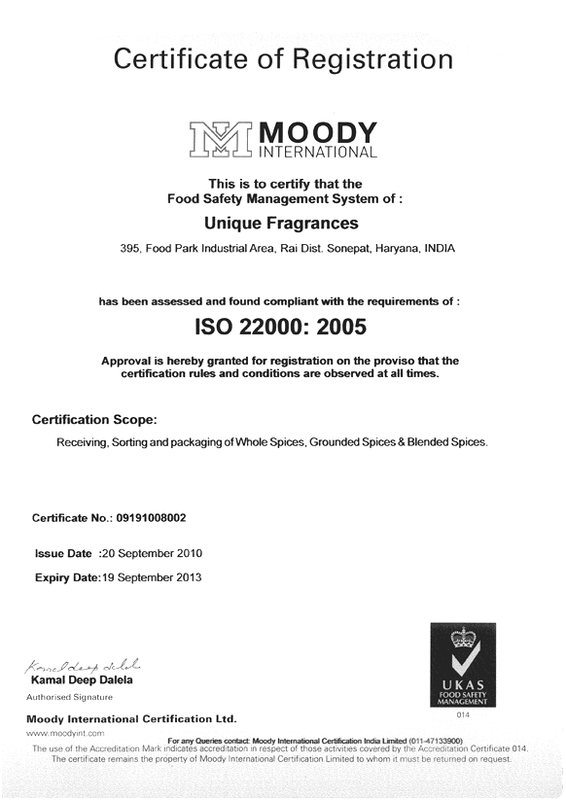 ISO 22000:2005 - Processing of whole spices, grounded spices & blended spices. 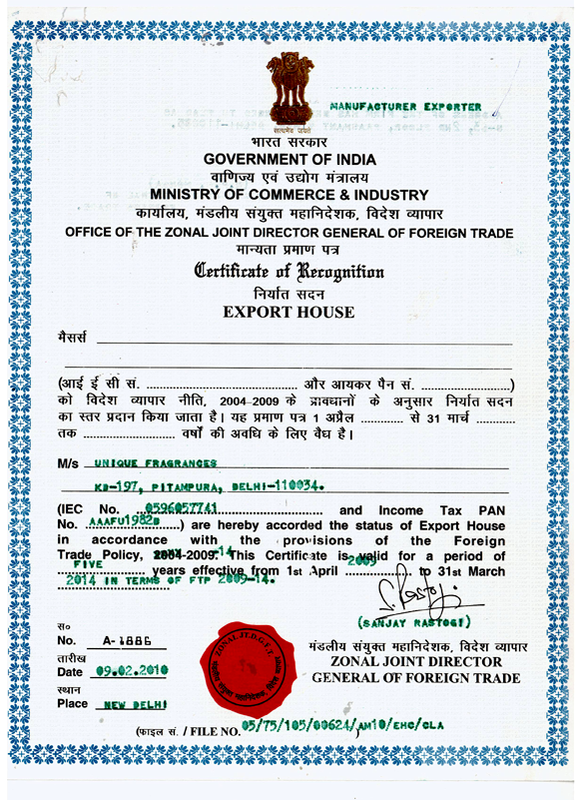 Certificate of recognition as export house. 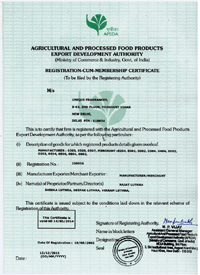 Agricultural and processed food products export development authority. 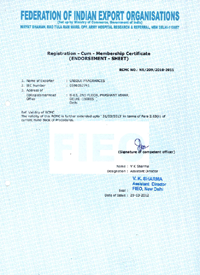 Member of federation of Indian export organisations. 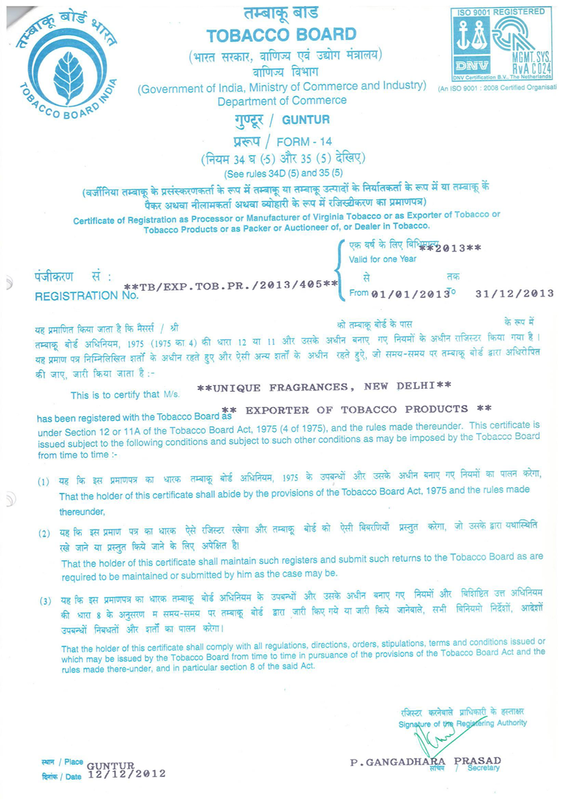 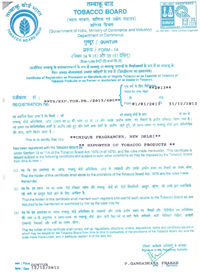 Certificate of registration as expoter of tobacco products from tobacco board. 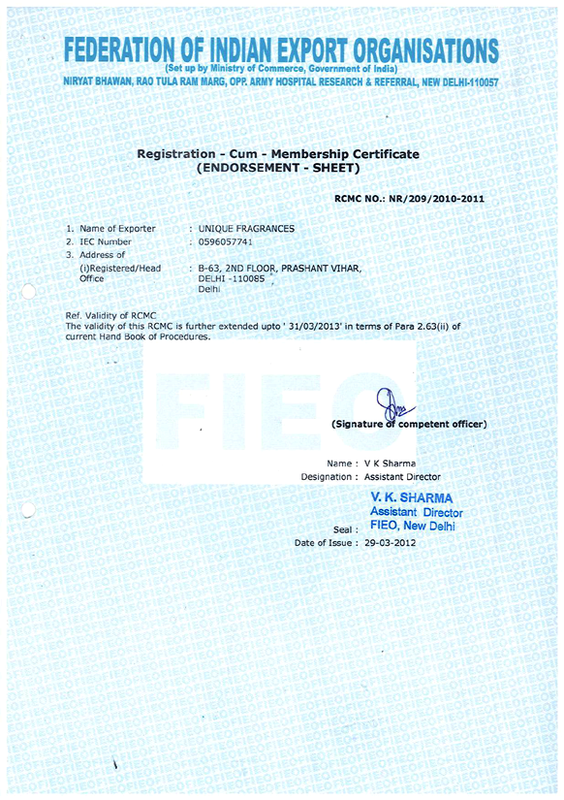 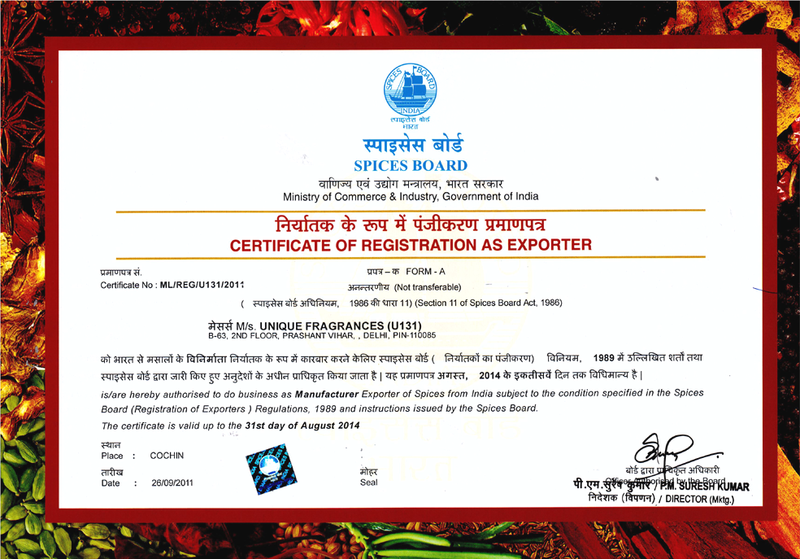 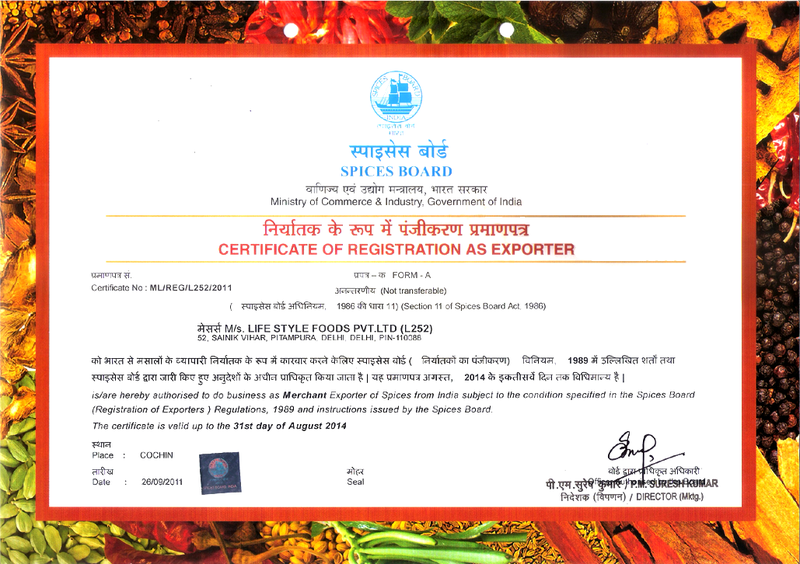 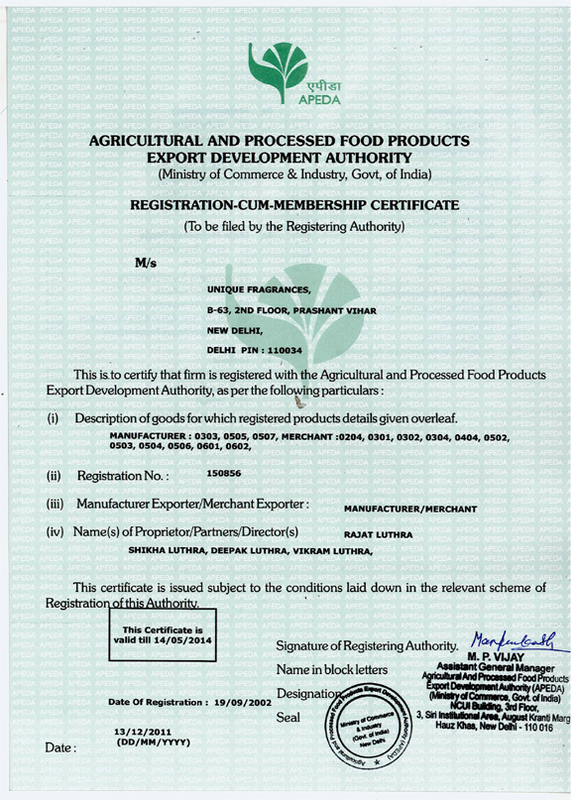 Certificate of registration as merchant exporter of spices from India. 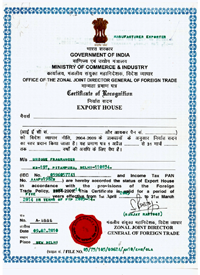 Certificate of registration as manufacturer exporter of spices from India.